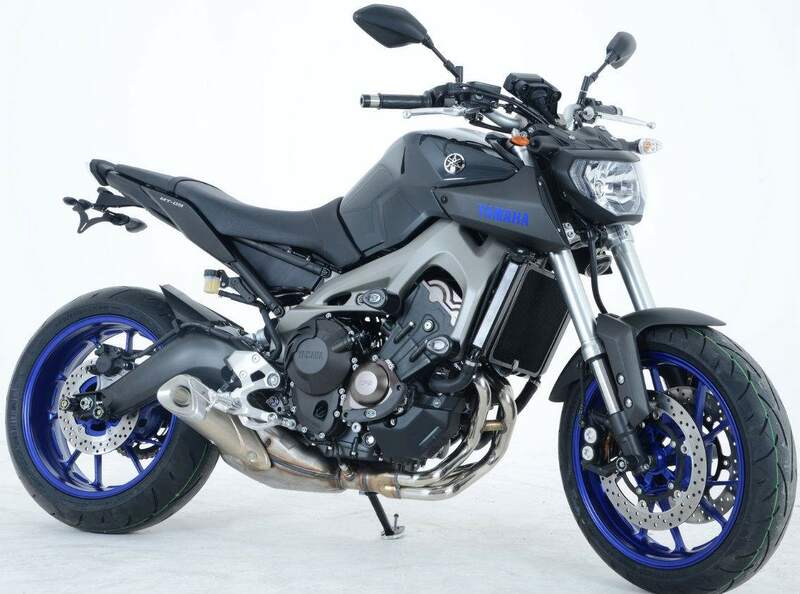 MOTORCYCLE crash protection specialist R&G has released a range of products for Yamaha’s MT-09. The UK company has produced a tail tidy (£79.99) and 'Aero Crash Protectors' (£67.99 each) that can be mounted on both the front or middle engine mounts, and can be used at the same time. A radiator guard is available in either aluminium (£54.99) or stainless steel (£74.99) alongside fork protectors (£30.99). R&G's shock protector 'Shocktube', which 'works by completely enclosing the rear shock absorber and spring to prevent damage from road salt, water spray, stone chipping, dust and dirt' is available for £25.49. 'Cotton Reel' sliders can be bolted directly onto the swing arm (£19.99) or as an ''offset' type that replaces the chain adjuster blocks to mount behind the rear spindle' (£52.49).